French Morocco, 1940. Max Vatan (Pitt), a Canadian officer attached to the British army, is on a mission to assassinate a Nazi ambassador. He rendezvous’s with a French resistance fighter called Marianne Beauséjour (Cotillard). Posing as a married couple, they obtain an invitation to a party that will be attended by the ambassador and several other high-ranking Nazi officials. In the meantime, their posing as a married couple begins to awaken in each of them feelings for the other. When the mission is over, Max and Marianne realise they have fallen in love; he asks her to come to London so they can marry. After a few months waiting for the red tape to be worked through, Marianne is allowed to join Max, and when she does she reveals that she’s expecting their child. With their child, a girl, born during an air raid, Max and Marianne’s life begins to settle down into a more sedate existence. With Max rumoured to be in the running for a promotion, he’s called in one day by his superior officer, Frank Heslop (Harris). Frank introduces him to an S.O.E. operative (McBurney) who wastes no time in telling Max that they suspect Marianne is a German spy. Max refuses to believe it, but he’s charged with aiding the S.O.E. in their investigation. He has to receive a telephone call later that night, write down the details of the call and leave them where Marianne will see them, and then wait forty-eight hours until the S.O.E. will know one way or the other if the details have been transmitted to Germany. And there’s a further catch: if Marianne is revealed to be a German spy, then Max has to be the one to kill her. Despite being told not to, the next day Max decides to launch his own investigation. Aiming to prove Marianne’s innocence, he tracks down a British officer (Goode) who knew her before Max did. But the officer is unable to help him. At a party they’re hosting that night, Max sees Marianne talking to an old man (Lesser) he doesn’t recognise; the man turns out to be a jeweller, but Max’s suspicions are increased. With time running out, Max has no option but to travel to Occupied France and seek out the one man he’s certain can tell him if Marianne is who she says she is, a resistance fighter named Paul Delamare (Frémont). He finds the man in gaol, and learns something about Marianne that will answer the question of her guilt or innocence once and for all. Some directors – many, in fact – have careers that initially show a lot of promise, are very successful once they’ve made four or five movies and have become internationally well-known, but then find their later projects failing to attract both the same audience levels and continuing critical acclaim. Robert Zemeckis is just such a director. Used Cars (1980) is a great, largely unsung comedy that features one of Kurt Russell’s best performances. The Back to the Future trilogy cemented his place in movie history, and Forrest Gump (1994) reinforced his stature as a mainstream director. But since then, and with the possible exception of Cast Away (2000), Zemeckis’ output – including three excursions into the world of performance motion capture – has been less than stellar, and The Walk (2015), a movie that looked as if it could arrest the slow decline in Zemeckis’ career, proved not to be up to the task. And sadly, with Allied, Zemeckis has still to reverse that decline. 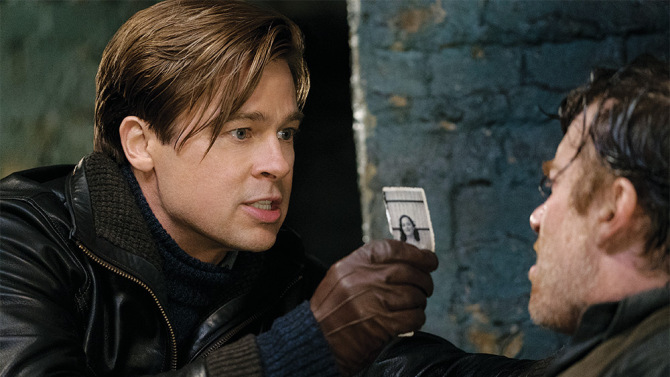 Working from a tired, ineffective screenplay by perennial under-performer Steven Knight, Zemeckis has tried to make an old-fashioned romantic drama that harks back to classic wartime movies such as Casablanca (1942), while also presenting said drama with a more modern visual sheen. The mix, though, doesn’t aid a movie that is difficult to engage with, and which never does enough to make you care about either Max or Marianne. With no one to root for, Knight’s screenplay becomes a matter of pushing the basic storyline through to an incredibly unsatisfactory ending, one that will have audiences shaking their heads in disbelief (though there are plenty of other occasions where they’ll be doing this as well). And Zemeckis, a director whose visual acuity shouldn’t be in doubt, doesn’t seem able to enhance the narrative in any meaningful way, leaving Don Burgess’s cinematography to look and feel as tired as everything else – which is an incredible thing to realise, as Burgess is Zemeckis’ usual DoP, and has lensed non-Zemeckis movies such as Enchanted (2007) and The Book of Eli (2010). Against this surprisingly dour visual backdrop, Pitt and Cotillard are left “holding the bag” as they try to inject a sense of immediacy into proceedings, and also try to convince the audience that they’re involved in a great love affair. Thanks to Knight’s script, though, neither star has a chance, as they’re hampered by some awful dialogue – “There’s a thing called the soul. I’ve looked into her soul.” – and the kind of motivations that don’t sound credible once they’ve been said out loud. 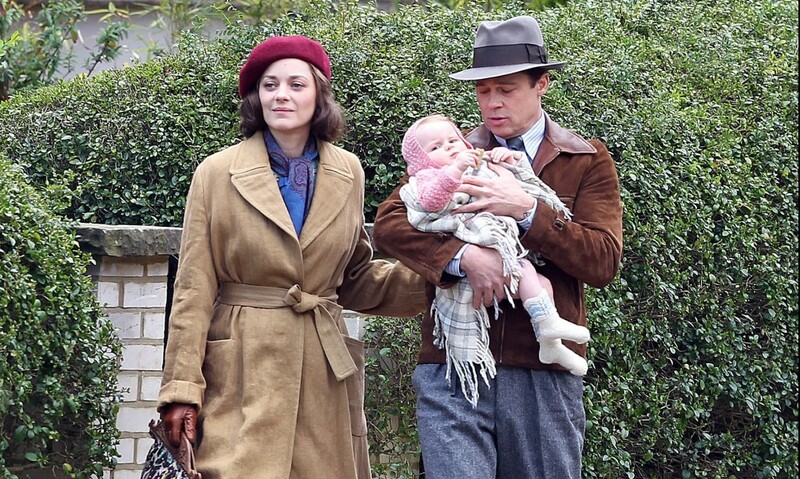 Cotillard fares better than Pitt, but that’s only because she has less to do. Left stranded by virtue of having to carry the movie’s second half on his own, Pitt looks pained and unhappy, and though this could be attributed to his character’s state of mind, it always seems more likely that it’s a reflection of the star’s awareness that the movie isn’t turning out as well as it should. The rest of the cast pop in and out of the narrative, often for one or two scenes, and fail to make any impact. Harris is the kind of gruff, good-natured senior officer we’d all like to think existed at the Ministry of Defense, McBurney plays an historical predecessor of the role he portrayed in Mission Impossible: Rogue Nation (2015), and Caplan is tucked away at the back of a few scenes as Max’s (apparently) openly lesbian sister, Bridget. While some of these characters are important in terms of moving the story forward, none of them have any depth, and again, thanks to Knight’s tortuous way with dialogue, none of them sound convincing (check out the dialogue Harris is stuck with in the movie’s denouement). With Zemeckis bringing very little to the project other than his name and an occasional flash of the visual style that he’s most famous for, it’s difficult to work out what attracted him to the project, and very seriously, why he completed it. Coming so soon after The Walk, perhaps he didn’t have as much prep time as he’s used to. Perhaps the initial concept became altered and irretrievably lost during production, leaving Zemeckis stuck with seeing it through. Perhaps he did, genuinely feel that this was a project that he could make an entertaining, thrilling, exciting movie out of. Whatever the reason for his participation, this leaden, dreary, unappealing movie is the result, and it does the man and his career no favours at all. 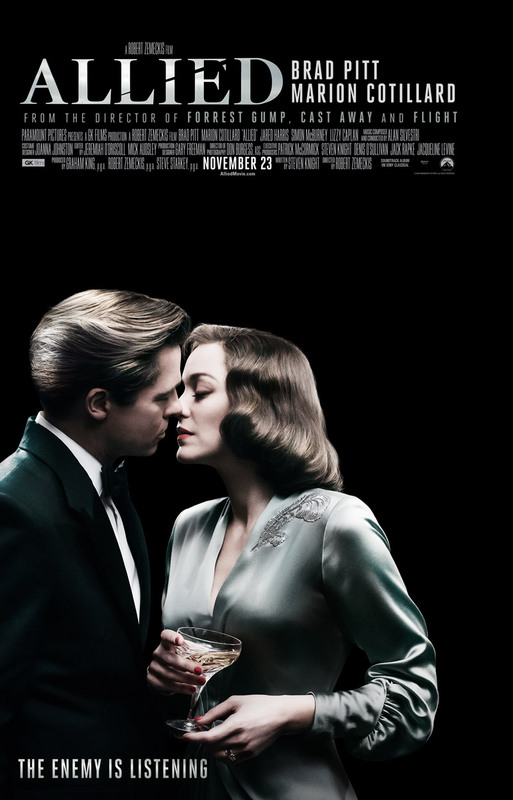 Rating: 5/10 – yet to recoup its $85 million budget at the international box office, Allied is a movie that tests its audience’s patience, and gives it very little to care about; a dismal experience overall, and a reminder that the combination of a big name director and big name stars doesn’t always guarantee good value or an entertaining couple of hours.